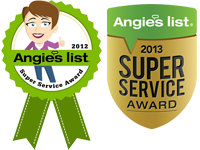 We are with Angie’s List and selected Bergerson Professsional Tax Service. We felt Jeff was extremely helpful in explaining his tax service. We selected him out of 10 other accounting services. We are very happy with the service we received. We think Jeff is very helpful wth all of our tax service needs. We live in Farmington, MN and would never change to be closer to our house. I enjoy the friendliness of the people who work here. Very inviting and comfortable atmoshpere. Based upon past experience, Jeff has outperformed all other tax preparers and has won our respect, trust, and business. I have found Jeff to be professional, available, and personable. I appreciate him taking the time to go through my taxes and informing me of any changes for this year and next. We were referred to Bergerson Tax Services by a day care provider-friend and she spoke very highly of Jeff. Coming here gives us a real peace and assurance in knowing we get the best service. Jeff is wonderful to work with! He is organized, informed, & thorough. If you have a question he gets back to you immediately. This was my first experience with your company. you made tax time very easy & stress free. I will be back next year! A friend of mine recommended your services to me and I wasn’t sure if I needed them. Well I was wrong.